BREMEN and COLOGNE, Germany — The MASCOT lander released from Japan’s Hayabusa 2 spacecraft this week made three hops to different locations on asteroid Ryugu before draining its battery, outliving its design life and sending back data from all four of its instruments, according to German and French officials who developed the surface robot. The tiny lander, no bigger than a microwave oven, released from the Hayabusa 2 spacecraft at 0157:20 GMT Wednesday (9:57:20 p.m. EDT Tuesday) as the Japanese mothership maneuvered to a point just 167 feet (51 meters) from Ryugu. Six minutes later, the tumbling lander made first contact with the asteroid’s surface — at 0203 GMT (10:03 p.m. EDT) — and bounced several times, as intended, before coming to a stop and kicking off an pre-programmed automated science campaign. 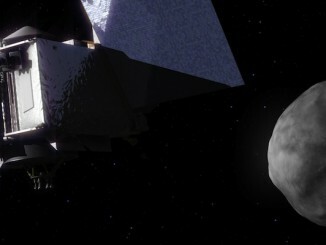 The Mobile Surface Asteroid Scout lasted more than 17 hours, exceeding projections going into the mission. The lander’s lifetime was limited by the capacity of its lithium battery, and designers did not put solar panels on the craft to save weight and money. “In our best dreams, we did not expect so much joy,” Moussi said. Some of the instruments on MASCOT, along with many members of its ground team, come from the Philae mission, which landed on comet 67P/Churyumov-Gerasimenko in 2014 after separating from the European Space Agency’s Rosetta comet orbiter. 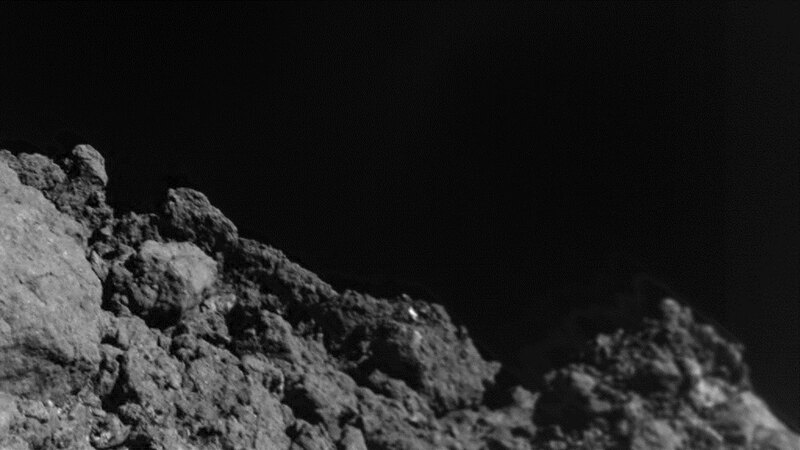 Like Philae, MASCOT bounced around the surface of its new home. But Philae carried anchoring gear and other landing aids to try and prevent such movements, while the simplified MASCOT lander carried no such equipment. 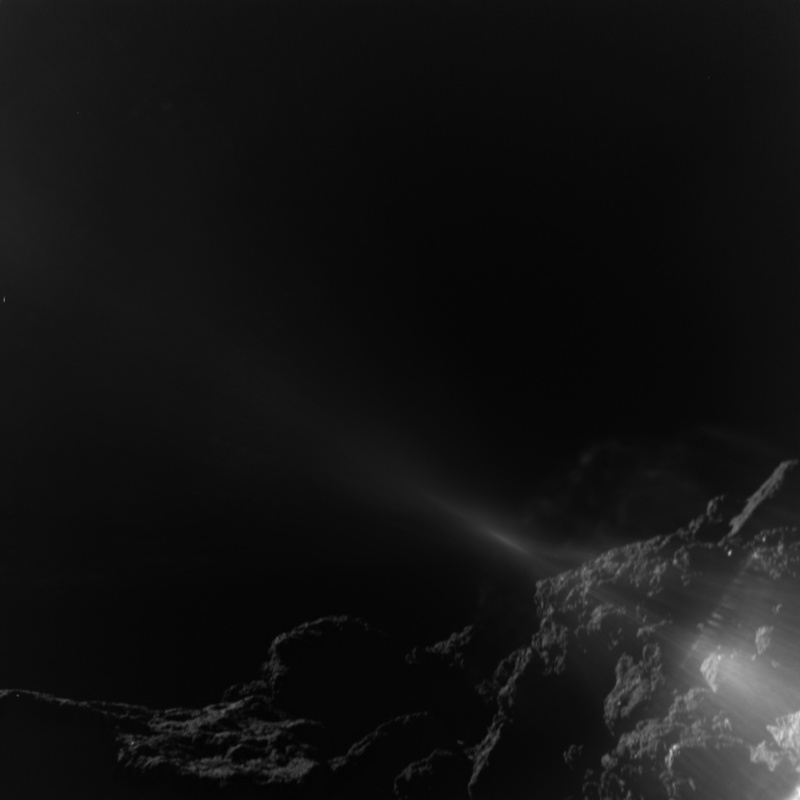 Nevertheless, Philae gathered images and other scientific data throughout its sojourn around the comet. The Hayabusa 2 spacecraft, managed by the Japan Aerospace Exploration Agency, put the MASCOT lander on course for a landing zone in Ryugu’s southern hemisphere. Once on the surface, MASCOT had an internal swing arm that could move like a pendulum, allowing it to generate momentum and hop to different locations on the asteroid, which measures around 0.6 miles (1 kilometer) in diameter, and has a gravity field 80,000 times weaker than Earth’s. Ryugu circles the sun on a path primarily between the orbits of Earth and Mars. The asteroid briefly dips inside the orbit of Earth on each trip around the sun, making Ryugu a potentially hazardous asteroid that could eventually pose an impact threat to our planet. 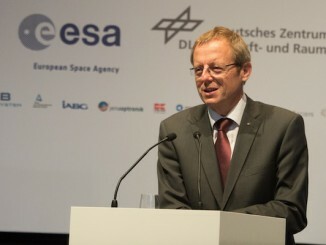 Stephan Ulamec, MASCOT’s payload manager at DLR, the German space agency, praised the Hayabusa 2 spacecraft for the tricky descent maneuvers toward an asteroid more than 200 million miles (about 325 million kilometers) from Earth. Engineers at DLR’s lander control center in Cologne, Germany, detected the robot was facing the wrong way once it settled on the surface. That forced controllers to abandon the original science plan and send pre-packaged contingency commands to MASCOT, routed through the Hayabusa 2 control center in Sagamihara, Japan, to roll over using its on-board uprighting mechanism. “After this very first touchdown, we noticed fairly quickly the lander was upside down,” Ulamec said. 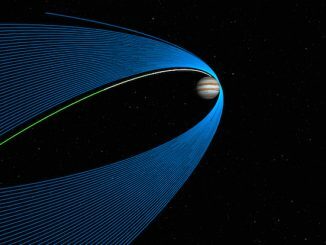 The rollover worked as designed, and the robot moved around 1 or 2 meters (3 to 6 feet) and all four instruments started collecting data from the asteroid’s surface, Ulamec said. Ryugu rotates once on its axis every 7 hours, 36 minutes, so MASCOT experienced three sunsets before draining its battery on the asteroid. The lander collected measurements during day and night. Its camera carried four light diodes to illuminate nearby rocks in red, green, blue and infrared light. A radiometer instrument measured temperatures of Ryugu’s surface material during a full day-night cycle, data that could help scientists learn about the physical properties of asteroid rocks and dust, giving new insights to future missions that will interact with asteroid surfaces, according to Matthias Grott, principal investigator for MASCOT’s radiometer at DLR. “What we’ve learned so far from the pictures is it looks like the surface is more consolidated rocks overlaid by a thin layer of particulate material,” Grott said. MASCOT’s magnetometer measured the lander’s spin as it descended to the asteroid, helping confirm its successful deployment from Hayabusa 2 and telling controllers about the robot’s movement across the surface. 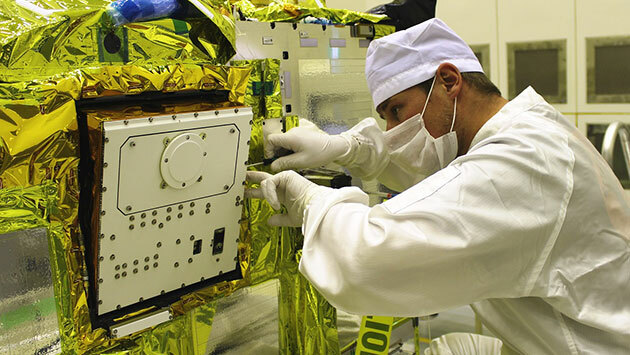 The instrument was also designed to search for any remnant magnetic field on the asteroid. During MASCOT’s second three-and-a-half hour day on asteroid Ryugu, the lander executed a small move to put surface material within view of a tiny microscope designed to unravel the mineral make-up of the asteroid’s rocks, seeking the chemical signatures of carbon and molecules that may have once interacted with water. MASCOT made a final leap before its mission ended to travel several meters to another site, and controllers lost their radio link with the lander at 1904 GMT (3:04 p.m. EDT) Wednesday as it went into its third night on the asteroid. After it deployed MASCOT, Hayabusa 2 climbed to a position nearly 2 miles (3 kilometers) from the asteroid to relay data between Earth and the lander. But Hayabusa 2, which had to stay in sunlight to generate electrical power, was unable to contact MASCOT when its landing zone rotated out of the mothership’s field-of-view and into night. 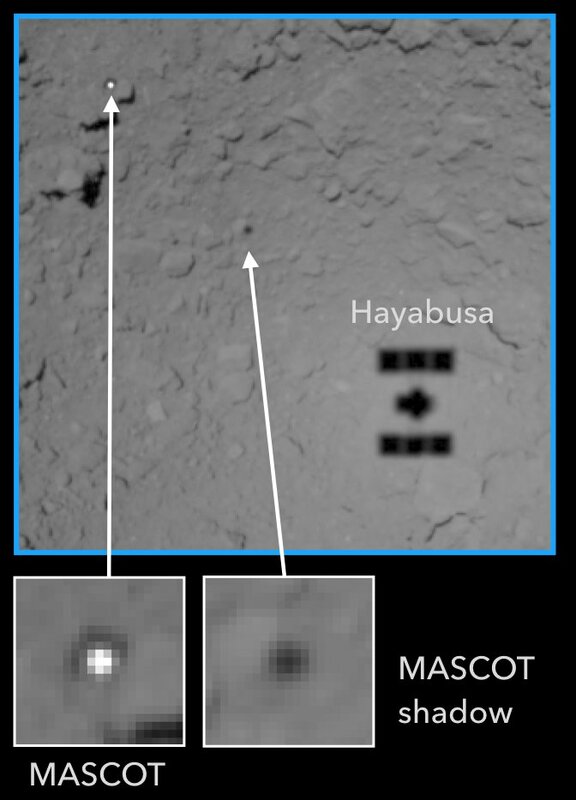 By the time MASCOT re-emerged into daylight, Hayabusa 2 heard no signal from the lander. MASCOT’s exploration of Ryugu came less than two weeks after Hayabusa 2 released two Japanese-built robots — each even smaller than MASCOT — that bounced around the asteroid’s surface. The landers deployed by Hayabusa 2 were not the first to touch down on an asteroid and return data — that distinction goes to NASA’s NEAR-Shoemaker probe that landed on asteroid Eros in 2001. But they are the first to return images from an asteroid’s surface, and the first missions to move to different locations on an asteroid. MASCOT was developed and built for around 25 million euros ($29 million), Ulamec said. Hayabusa 2’s mission is far from over. The $260 million probe’s primary objective is to collect up to three samples from Ryugu and bring the back to Earth. The first sampling attempt is scheduled as soon as the end of October, followed by two more next year. Hayabusa 2 will also release one more robot to hop around the asteroid next year, before departing Ryugu in time to drop its sample return capsule for a re-entry and landing in Australia in December 2020.